Enjoy greater peace of mind about the water you drink at home. 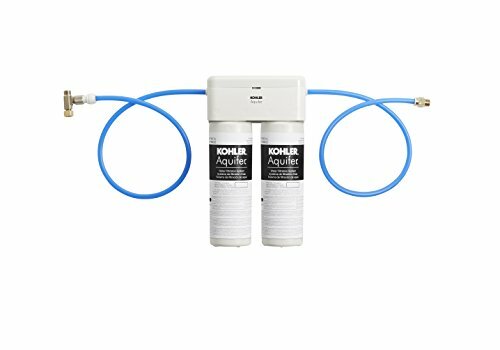 The aquifer double-cartridge water filtration system effectively reduces contaminants including lead, mercury, chlorine, and pharmaceuticals in your cold water without compromising your faucet's performance. While many other systems use coal-based media filters, the aquifer filter uses ground-up coconut shells. Under-sink installation is fast and easy, and the compact aquifer system fits alongside garbage disposals and household items stored below the sink.